Flowerbeds: Growing beautiful flowers depends on having healthy and deep flowerbeds. 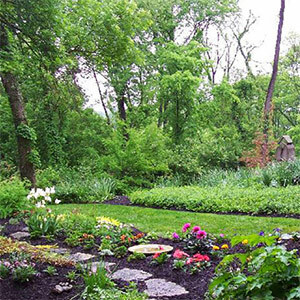 Our landscapers can take any property and rework it so that it’s hospitable for beautiful and abundant flowers. 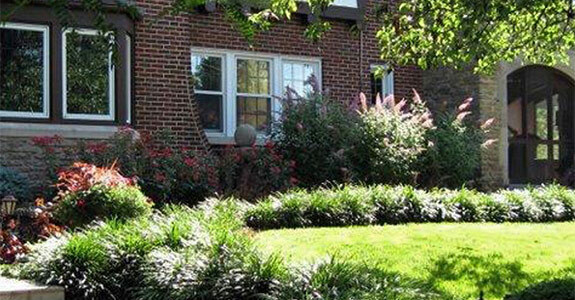 We’ll make sure your gardens are blooming with our thorough landscaping. Tree planting: One of the most difficult parts of landscaping design is planting trees. Even young trees can have difficulty adapting to a move and unsuccessful transplanting can be time consuming and costly. Leave it to our landscapers, who are skilled in planting trees and helping them thrive in their new environment. Shrub Planting: An expert landscape designer like one of our professionals is able to transform any backyard into a beautiful paradise by maximizing the space and artfully planting items like shrubs. We’ll work with you to get a sense of the look you’re aiming for and then plant plants and shrubs to achieve that style. Gardens: You don’t need to have a green thumb to have beautiful, blooming gardens. Our experts can handle everything from choosing the flowers, planning their design and planting them to ensure a gorgeous look that you’ll enjoy every time you step outside. From spring blossoms through autumn flowers, we will make sure your gardens are gorgeous. Landscape Lighting: Once you have your perfect backyard design, enjoy it with subtle landscape lighting. We will set up and install this lighting to accent the areas you love, including any stonework or garden water feature. For high quality landscape services, including flowers, trees, shrubs and more, call Allen Brothers Landscaping, LLC at 859-635-2800.